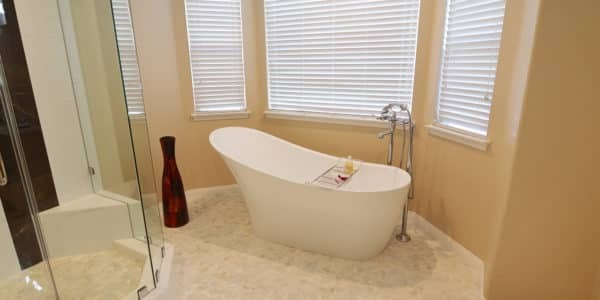 Project Features: Corner seat, freestanding tub and custom curved line. 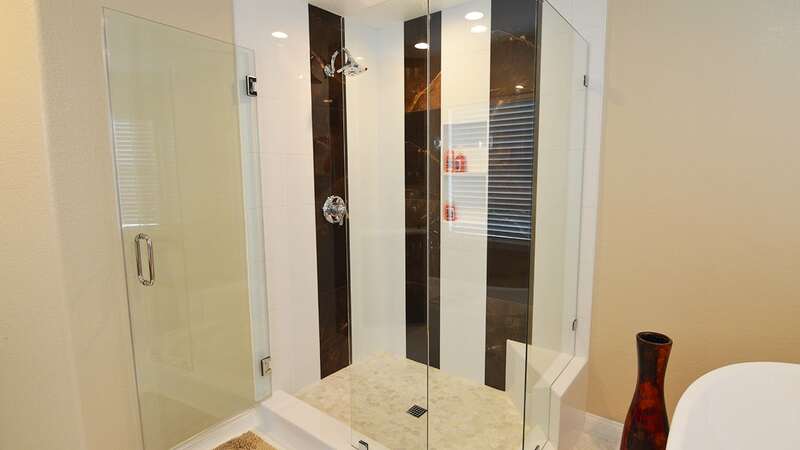 This contemporary master bathroom has a very elegant hotel feel. 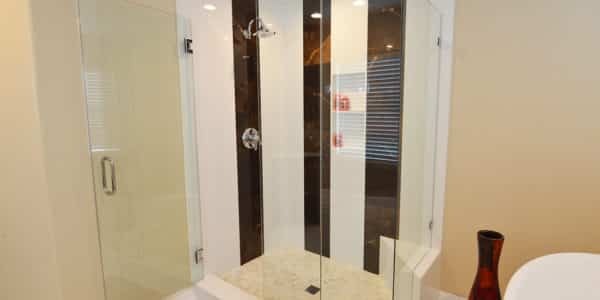 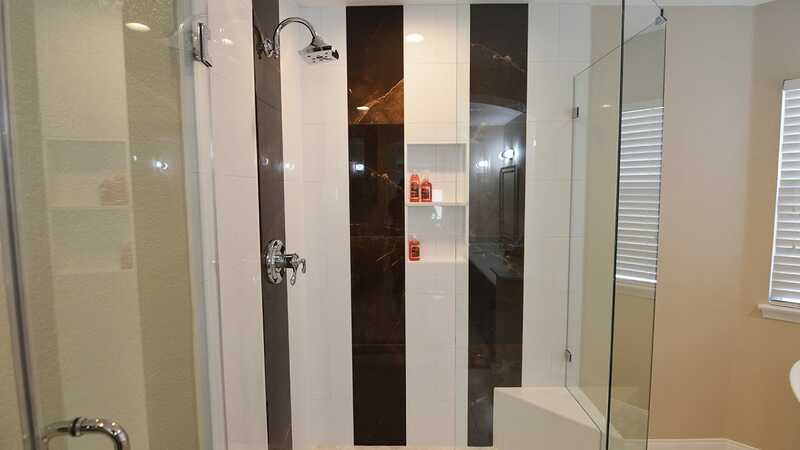 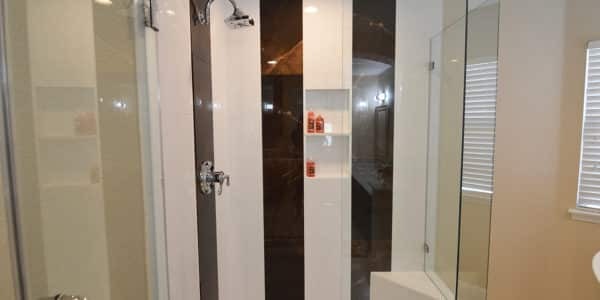 The shower walls have porcelain tile called Miga White Glossy 12×24 vertical from Arizona Tile, the accent in the shower is porcelain tile from Dal Tile called Village Café (CY07) also in a 12×24 and vertical. 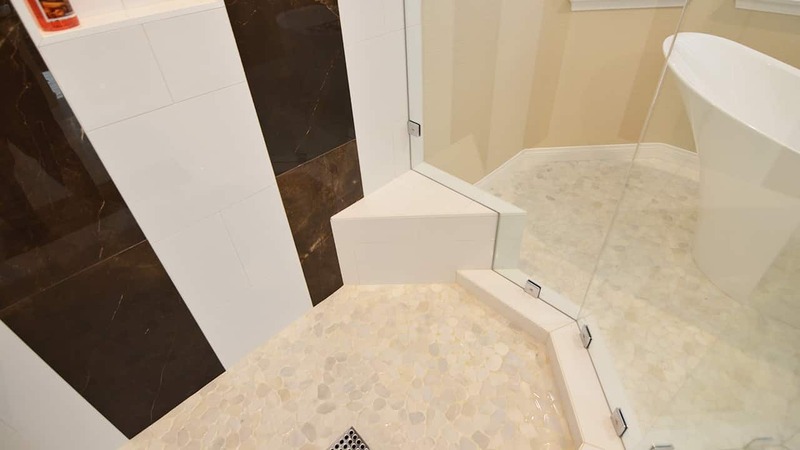 The Shower floor is a pebbled mosaic from Emser tile called Cultura Pebble White, and the trim of the shower is a Schluter in the color bright white. 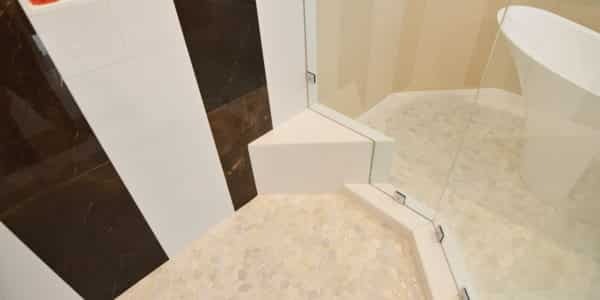 The shower and the tub are separate There is a freestanding tub, around the tub there is a custom curved line made out of the same pebbled tile from Emser Tile to give a soft hotel feel to the bathroom. 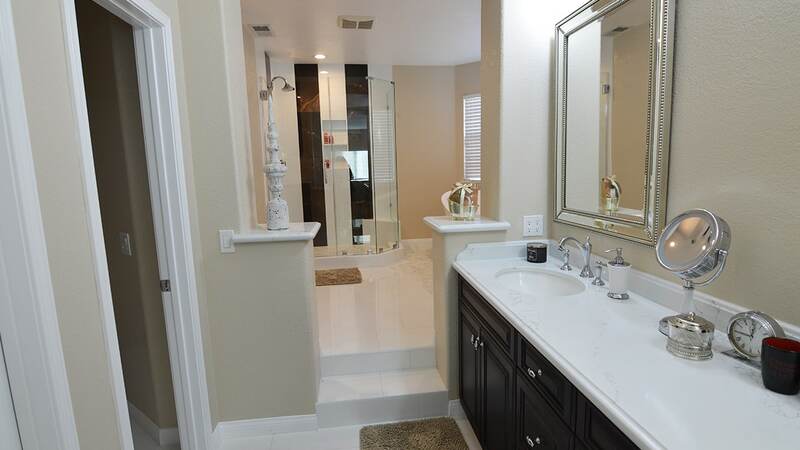 The floor of the whole bathroom is also a porcelain tile form Arizona Tile called Pure White in a 12×24. 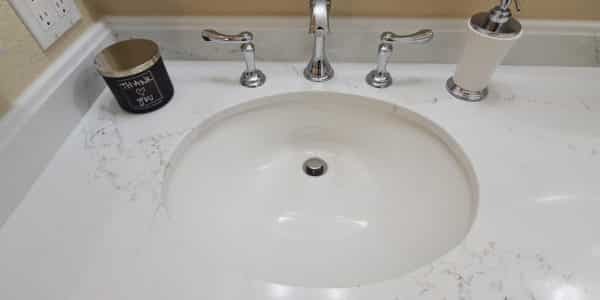 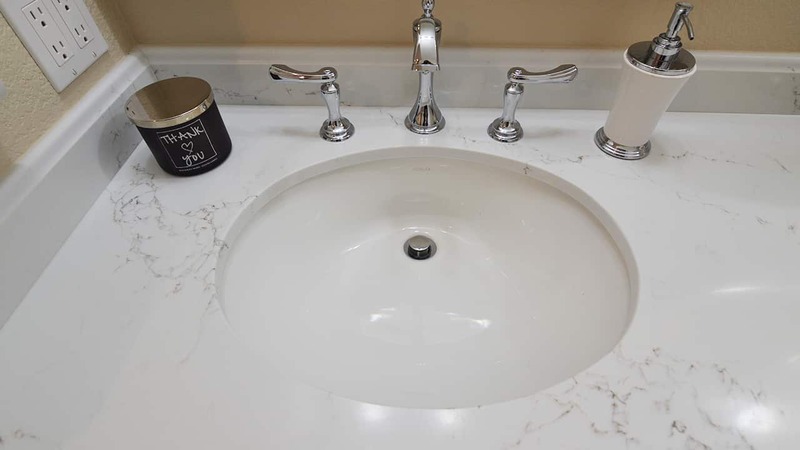 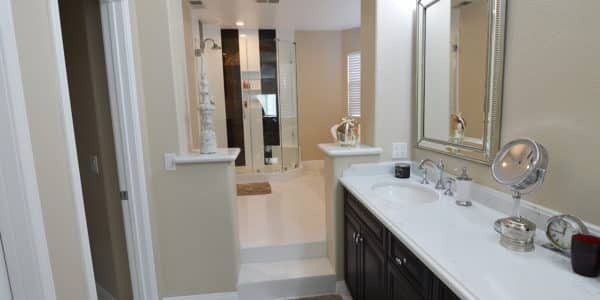 The countertops are quartz from Daltile called Riverbank (NQ93), the trim is in an Ogee Bullnose, both sinks are square, white, and undermount form Amerisink.